This Anti Depressant Mood Enhancer didn't help with my lack of circadian rhythms. But, even Ambien doesn't help so much either. This was no surprise. What was a surprise was the fact that the product does help with anxiety and depression. It's funny. There have been approximately eleven psychiatrist's and many years of treatment and my meds still aren't right. But, this does help! They upset my tummy, which is rather sensitive anyway. Prescription anti depressants do this as well. But, they do help. If you cannot get to anti-depressants due to a lack insurance of any host of a variance of reasons, this product just might do you well! Read the reviews. The product works, where some non-OTC's do not. It certainly beats the stuffing out of St. John's Wort. 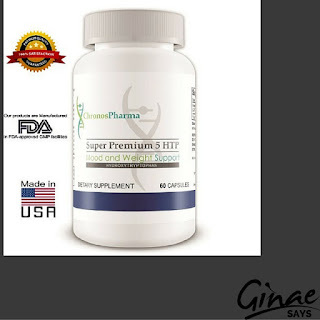 The 5HTP Mood Enhancer lists for $21.99. But, it sells for $13.99. However, if you wish to receive an additional 30% off of your purchase, feel uninhibited to use this SUPER SONIC SECRET CODE: 7PE64YHX. Sweet.